This is a guest contribution from Nick Rojas. The world of web promotion and search engine optimization has never been a consistent one. Constantly changing Google results algorithms compete with tricky marketers in what is essentially an arms race, with each side trying to gain a lasting advantage against the other. However, though the tools change constantly, the battleground stays the same. We’re talking about keyword research. Every time a Google update levels the playing field again, it comes back to this: if you create high quality content that people read, you will gain prominence in Google results. And the best way to do this is with keyword research. 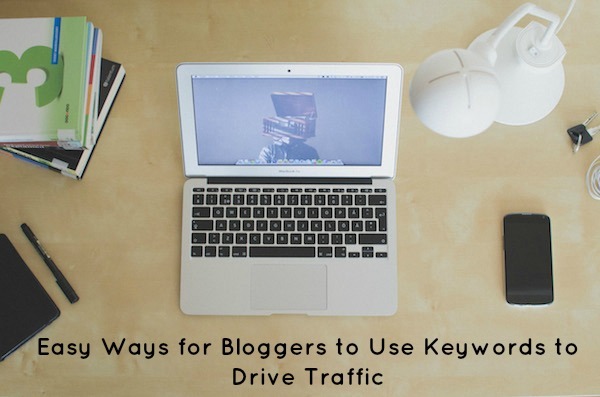 We’ve got some great tips to help you make sure your blog has its keyword game in top form. Read on! One good way to conceptualize the idea of a keyword is to think backwards. What kind of people are you trying to attract? What is your ideal reader looking for? Go back through your blog entries and mentally sort them into vague lists. If you use tags or categories, this can help a lot as well. Basically, you want to create large “content buckets” that you can fit most of your posts into. Once you’ve assembled some buckets that most of your posts fit into, you can identify keywords to fill those out. These are phrases that you’d like to rank highly on the search engine results page. An example might be a blog about maternity fashion that provides some affiliate referral links to clothing stores where readers can buy the recommended clothes. This hypothetical maternity wear blog would want to rank highly on searches like “clothes to wear during pregnancy”, “maternity fashion”, and other searches like this. This isn’t a be all, end all list of the keywords you’ll be using, but rather just to clear your mind of all the obvious ones. Some keywords are easier (and cheaper) to rank on than others. The cheap, easy ones are long tail, and are associated with much less traffic than the short tail keywords, which are particularly popular and frequently searched. The web has tons of tools for all kinds of things, from business name generators to tools like the Google Adwords Keyword Tool, which is great for this sort of thing. Other great tools for this are Topsy and Buzzsumo. Topsy helps you uncover the confusing and convoluted work of social media keywords. Topsy is essentially the Google Trends of social media, allowing you to page through the recent history of keywords on social media to identify trends in that medium. Buzzsumo helps you make sure that your keyword list is as comprehensive as that of your competitors. It helps you analyze their sites directly, helping you to spot when a new trend in your industry or field is coming up and letting you stay on top of it. No matter how many Google updates happen, it seems likely that keywords will remain just as relevant as they have always been. It’s how people actually think and actually search for things, so barring any major sea changes in how people interact with their computers, keywords are likely to be an extremely important way to organize search and rankings. It pays to stay on top of your keywords! Nick Rojas is a business consultant and writer who lives in Los Angeles. He has consulted small and medium-sized enterprises for over twenty years. He has contributed articles to Visual.ly, Entrepreneur, and TechCrunch. You can follow him on Twitter @NickARojas, or you can reach him at [email protected].